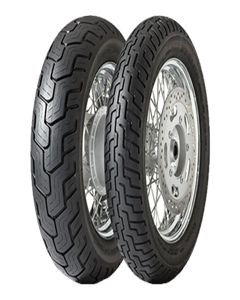 Dunlop has taken the legendary Harley Davidson tread pattern and used it to bring you the ultimate cruising tyre. When you want to hit the road, the D404 is the perfect choice, offering miles of smiles in total comfort. Designed to cope with the heaviest loads, the clever tread pattern ensures the rolling noise is kept to a minimum whilst delivering an outstanding balance of mileage, grip and straight-line stability whether it be wet or dry. With an option for black or whitewalls in some sizes there’s no excuse for not cruising in style.